The candidate has been determined eligible for the examination. Once an application has been successfully submitted, the candidate will receive an email notifying them of successful submission, after which the application is reviewed. If an application is incomplete or there is not sufficient proof of eligibility, an NBMTM staff member will contact the applicant via the email address provided on the application. Otherwise, the candidate can expect to receive a second email containing exam appointment scheduling instructions within seven business days of application submission. Application fees for accepted applications will not be refunded if canceled by the candidate. Application fees for ineligible applications will be refunded minus a $100 processing fee. The application fee for board certification is $350. Candidates must submit the appropriate fee with a complete application. Fails to present appropriate identification on the day of the examination. If fees have been forfeited and the candidate still wishes to take the examination, a new application and the appropriate application fee must be submitted. Your application is not complete until you receive an email confirmation of board eligibility containing instructions on how to schedule your examination. NBMTM sends candidates an email confirmation of board eligibility to the candidate within three (3) business days of acceptance of the application. If eligibility is denied, you will be contacted by NBMTM. If a confirmation notice is not received within three weeks of submission, contact NBMTM at 202-489-0506 or contact@nbmtm.org. The confirmation of eligibility email includes instructions detailing how to schedule an examination appointment online. Read the Mettl® User Guide for descriptions of the test-taking experience. A candidate’s eligibility is valid for 180 days after receiving the email confirmation notice from NBMTM. The examination must be scheduled and taken within this 180-day period. 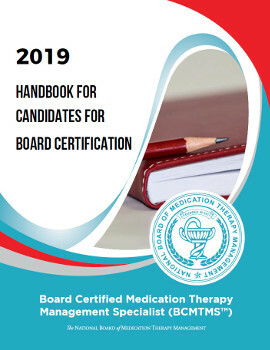 A candidate who fails to schedule an exam appointment within the 180-day eligibility period forfeits his/her application fees and must submit a new completed application and the appropriate application fee in order to schedule an examination appointment. Examination appointments are scheduled for a 4-hour window of time – four hours for the examination itself, and fifteen minutes on each end for completion of the tutorial and the post-exam survey. NOTE: NBMTM does not require the upload of any form of legal identification, such as driver’s license, passport or a government-issued ID. You will be required to present formal identification as part of the exam authentication process on the day of your test, but to safeguard against unauthorized access to sensitive test taker credentials, government-issued IDs are not recorded or stored in user profiles for BCMTMS™ exam. • Providing false or misleading information about your identity or that of any other person. • Registering for or taking a BCMTMS™ exam with another individual’s Mettl® login. 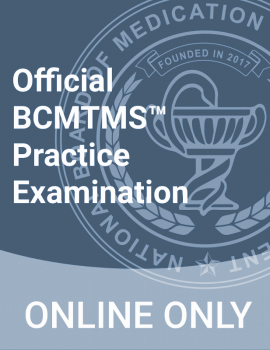 • Allowing someone else to register for or take BCMTMS™ exam with your Mettl® access. • Holding multiple exam registrations at the same time under different Mettl® access. You may reschedule or cancel your appointment online on your myNBMTM portal or by calling 202-489-0506. No rescheduling or cancellations are allowed within 7 days of your appointment; examination fees will be forfeited. Severe weather or an emergency could require canceling scheduled exams. If this occurs, Mettl will attempt to contact candidates by phone or email. If the site is closed, your exam will be rescheduled without a rescheduling fee. Please call NBMTM with any concerns regarding missed appointments due to unforeseen circumstances. In compliance with the Americans with Disabilities Act (ADA) and Title VII of the Civil Rights Act, special testing accommodations will be considered for individuals with disabilities recognized by the ADA. Request for special accommodations must be made at the time of application. Please complete the Request for Special Accommodations and Documentation of Disability forms, found on the NBMTM website, in order to be eligible. If you require any special accommodations, please contact NBMTM at contact@nbmtm.org before submitting your examination application, and the staff will be happy to assist you in meeting your testing needs.